I hope where ever you are you are enjoying some beautiful weather. We have been in the low 70's during the day and low 60's at night for a few days. This morning I have for you a cute Hello Kitty Card. I have never really been a fan but I think she is starting to grow on me. This card is for a dear friend that I have not seen in a while. She will love it. Totally love your card! Hello Kitty has grown on me to. I think it the pink and white that I love best. Have a great week and happy crafting! So Adorable, your HK is too cute. Adorable card. Love the glossy accent look. So super cute!! She is super adorable Nana! 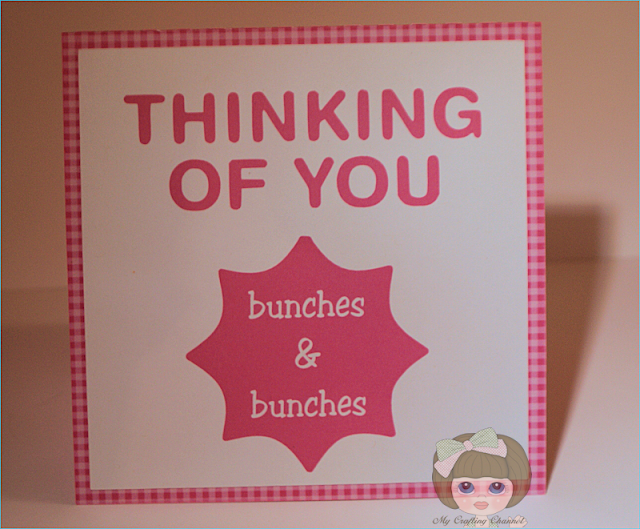 Your friend will so love this adorable card! Never purchased the Hello Kitty carts but think that they are so cute! Love the patterned paper that you made too, which really added to the theme! You do such a great job! This card is super cute. There is something about Hello Kitty that grows on you. The font cart is one of my favorites. Well Hello Kitty! A-D-O-R-A-B-L-E!!!! This is just too cute! Super adorable! I just bought the 3 girls Hello Kitty dresses in pink from Costco...so cute! Your cards are amazing and so beautifully finished! This is so SWEET! You have the hello Kitty cart?...I am very Jealous...LOL! Your Hello Kitty card is adorable! I love the pink polka dot paper:) Fabulous design my friend! So cute!!! My 5 yr old would flip over this! I love how you made it glossy!! 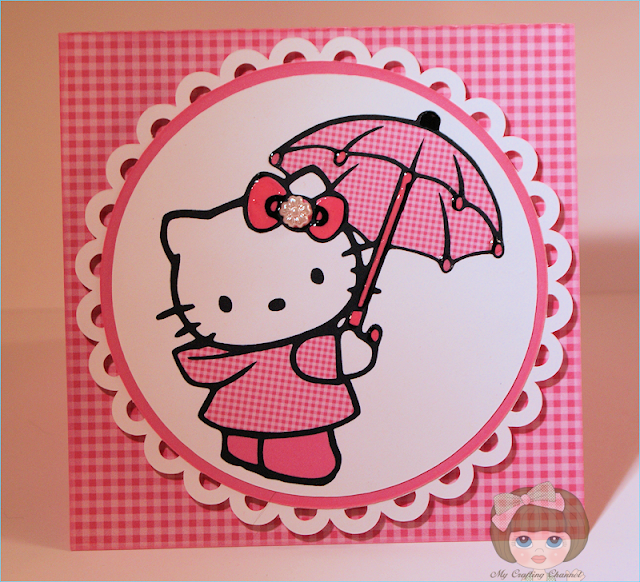 This is a very cute card ~ my daughter loves hello kitty! This is adorable! LOVE the pink gingham paper and the glossy accents are such a great touch! Thanks for playing at My Craft Spot!